Bmobile has issued a call for technology innovators, start-up entrepreneurs and SMEs to apply to its Code Challenge competition, entries for which close tomorrow (December 28). Five teams will get an opportunity to challenge each other for the grand prize which includes, funding for their technology innovation; entry into bmobile's new six-month business accelerator programme to help commercialise their innovative product or service; expert technical advice, training and business development mentorship from bmobile and its partners, Push Ventures, specialists in building startups and venture capital accelerator programmes, Launch Rockit and IBM, bmobile's technology partner for the challenge. 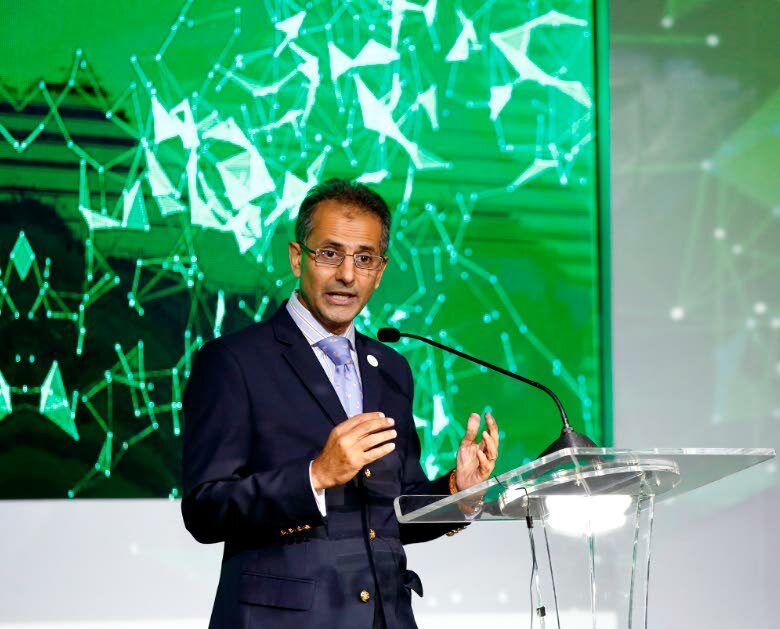 TSTT executive Rakesh Goswami said the bmobile Code Challenge has generated an impressive amount of interest and excitement around the region. "ICT is important for both the development of businesses, services and solutions and for the sustainable development of national economies. Trinidad and Tobago and the Caribbean has a lot of talent. Our aim is to help establish TT as the regional hub for world-class technology which develops new, innovative products and services that meet the future needs of businesses and their customers, and ensure the region remains globally competitive." 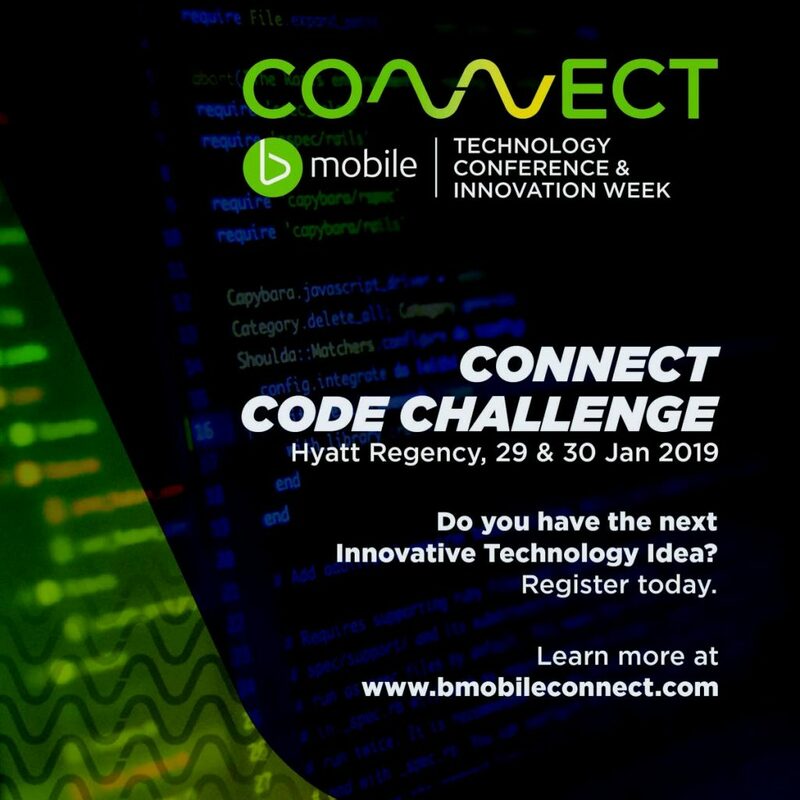 The inaugural Code Challenge will be held on January 28 and 29, 2019 as part of the second, week-long bmobile Connect Technology Conference and Innovation Week at the Hyatt Regency Trinidad. At the end a technology entrepreneur or SME will be awarded the coveted title of the Biggest Innovator for 2019. The Code Challenge is a key element of the 2019 bmobile Connect Technology Conference and Innovation Week. Wayne Nakhid, IBM's business development manager shared his excitement about the partnership between IBM and bmobile for the Code Challenge. He said Watson, IBM's AI platform, is one of its services which will be provided for use by the Code Challenge winner. "Watson is now in the mature stage and is used globally to provide business solutions in a wide cross section of industries including healthcare, education, manufacturing, telecommunications and services. With bmobile as our long standing partner, we see great opportunities to help nurture the next generation of entrepreneurs and technology developers”, he explained. Bmobile is inviting technology innovators, start-up entrepreneurs and SMEs who are working with new ideas and projects that use a variety of modern solutions such as apps, SAAS, artificial intelligence, machine learning, IoT and modern technologies such as big data, data mining, voice recognition, chat bots, augmented reality, virtual reality and robotics to apply. “These are the technological solutions which will drive the future success of Trinidad and Tobago and the region,” said Goswami. Entrants must be willing to showcase their technology concepts for consideration by the team of judges from bmobile, its partners and local and foreign-based mentors. Only teams of two to three persons who are residents of a Caribbean country can apply and each team must have at least one software developer and one business person. The innovation can be a new or existing idea but it must still be in the development stage and started within the last two years. "We will be working with innovators with business solutions that have the potential to solve an economic problem, transform a business process, answer a consumer need, improve a product, or tackle a social issue. However the solutions must not be fully developed so that they can thoroughly benefit from our six-month business accelerator programme which will provide the assistance they need to bring their concept to market,” added Goswami. In addition to funding, training and mentorship, the Code Challenge winner will be provided with bmobile's world-class services including its data centre, cloud and security services, e-tendering software as a service and other free or discounted services provided by bmobile's Code Challenge partners. Entrants must complete the online submission form and submit a two-minute YouTube video about themselves and their concept at bmobileconnect.com/code challenge by December 28, 2018. Reply to "bmobile’s Code Challenge competition"